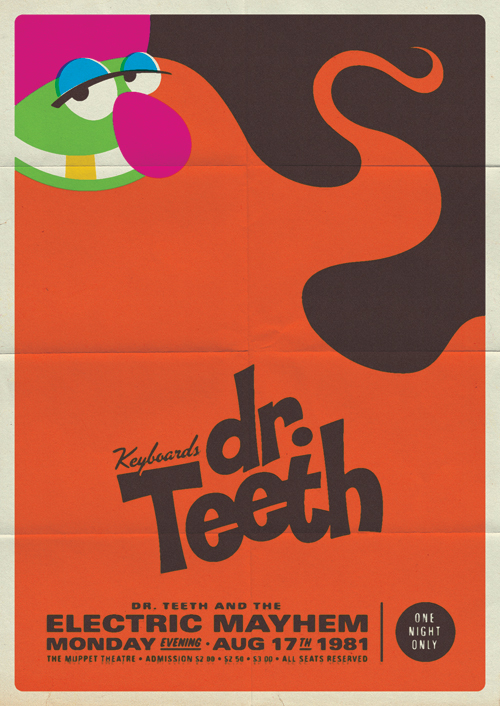 If you were a Muppet fan, you'd remember Dr. Teeth and The Electric Mayhem band on the Muppets Show. 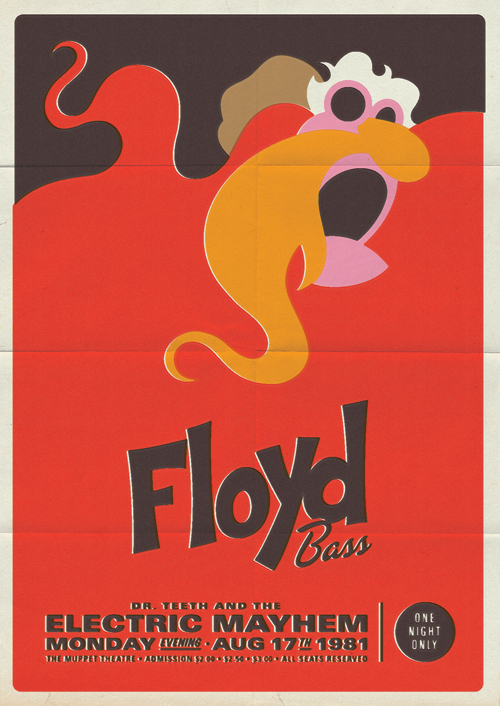 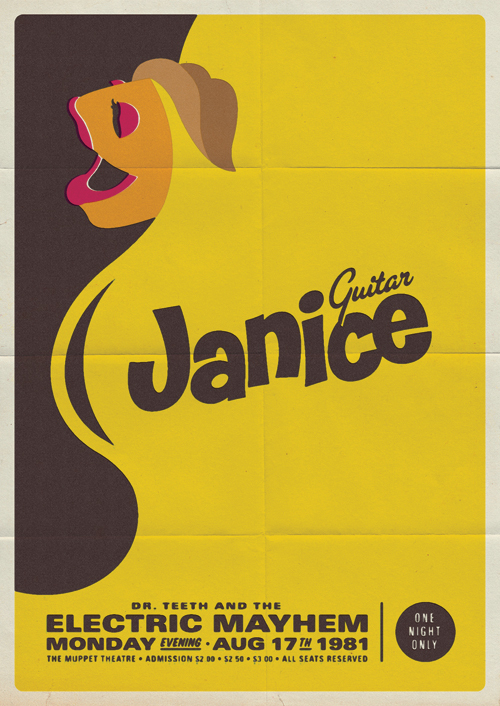 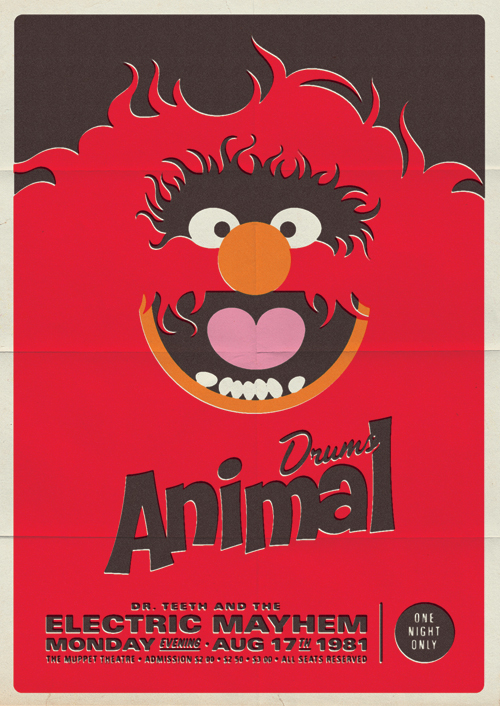 Canadian graphic designer Michael Di Pippo created these awesome Muppet Concert Posters for the band members. 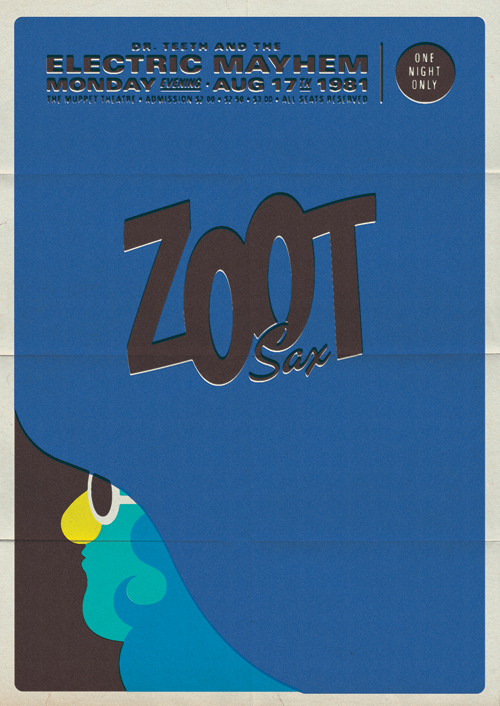 Click here for minimal movie posters.